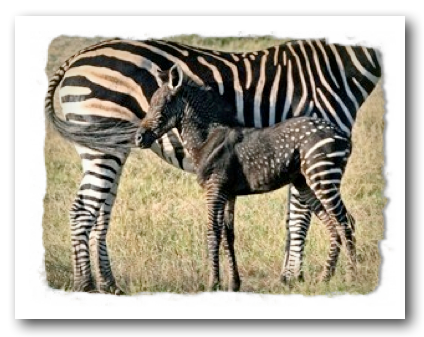 Sometimes, a zebra is born with strange stripe patterns and large areas of black. 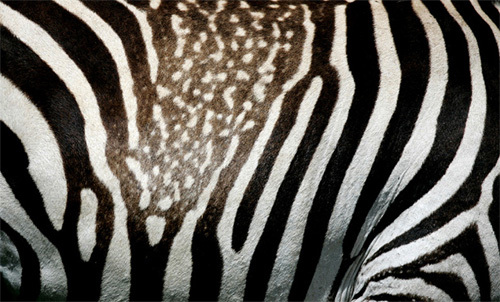 These photos illustrate some of the variety possible in the stripes or, in the top and bottom photo, spots of the zebra! This Grant's zebra, below, looks like his stripes have been partially erased. And check this out...spots among the stripes; looks like chocolate running down the stripes and mixing them up! 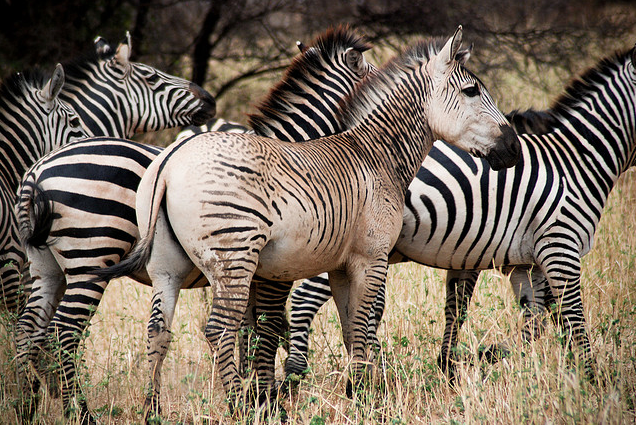 God made an amazing world of zebras. To see "White" zebras, check out my blog post "When Zebras Go Pale..."
For more info on the incredible "chocolate" zebra at the top of this post go here.